OLD PARKED CARS. 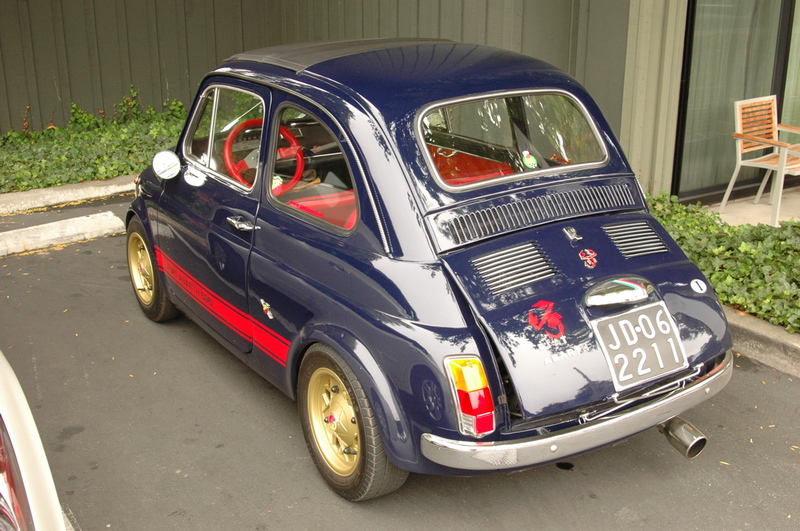 : 1972 Fiat Abarth 695. 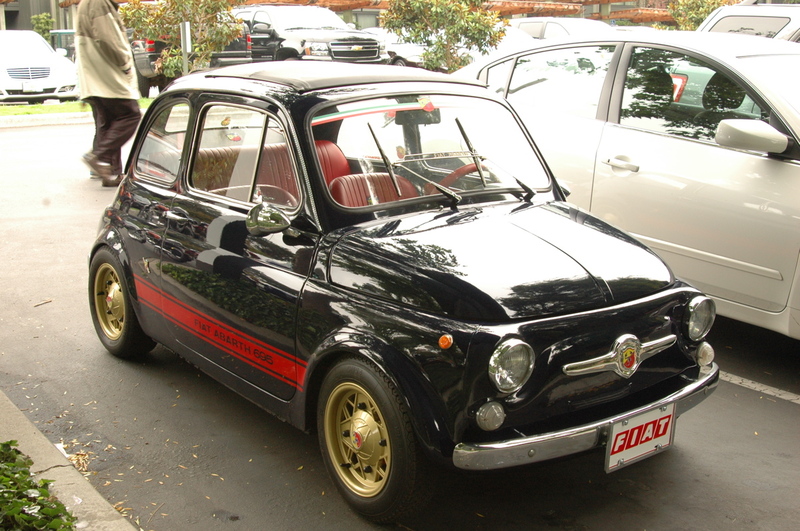 This looks like a really fun little car to zip around in. Also, a tiny little death trap but I'd still love to play around with one of these for a while. What a tiny delight. Would driving that ever get old? No. How long have you been sitting on these photos? i waited to post them because i was so dissatisfied with the backlit profile shot. it still bugs me. Phenomenal. Trunk's still open - did the owner give you a peek at the engine? 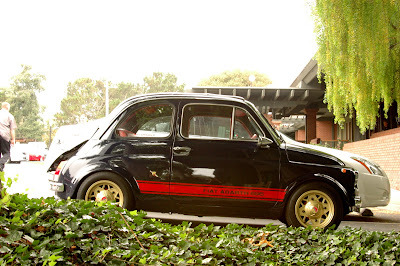 I bet it's a peppy little Abarth! the driver gets old very fast after seeing several bills from mechanic with alot of zeros&going bankrupt over this totally unreliable machine.it comes from personal experience owning 2 of those.nice&rare find indeed.good job. Sickkkk. Really, not reliable mechanically? That's disapointing. Still pretty. Thx!! !